We have a new registration platform for this event! Click here to register. I hereby grant permission to Rugged Races LLC and its agents to photograph my image, likeness or depiction and/or that of my minor children (if applicable) and to edit, crop or retouch such photographs, and waive any right to inspect the final photographs. I hereby consent to and permit photographs of me and/or those of my minor children to be used by Rugged Races LLC and its agents worldwide for any purpose, including advertisement purposes, and in any medium, including print and electronic. I understand that Rugged Races LLC and its agents may use such photographs with or without associating names thereto. I further waive any claim for compensation of any kind for Rugged Races LLC's or its agents' use or publication of photographs of me and/or those of my minor children (if applicable). I hereby fully and forever discharge and release Rugged Races LLC and its agents from any claim for damages of any kind (including, but not limited to, invasion of privacy; defamation; false light or misappropriation of name, likeness or image) arising out of the use or publication of photographs of me and/or those of my minor children (if applicable) by Rugged Races LLC or its agents, and covenant and agree not to sue or otherwise initiate legal proceedings against Rugged Races LLC or its agents for such use or publication on my own behalf or on behalf of my minor children. All grants of permission and consent, and all covenants, agreements and understandings contained herein are irrevocable. 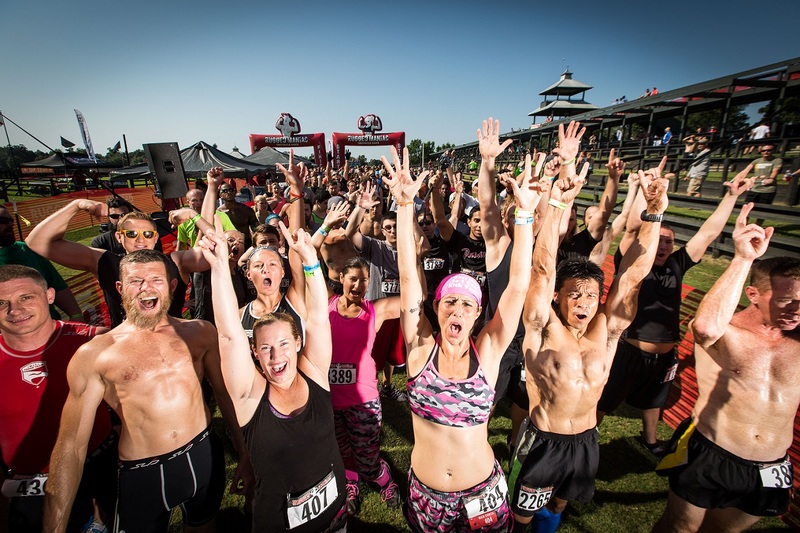 The Rugged Maniac event (hereafter referred to as the Event) involves hostile environments that might include extreme heat or cold, snow, fire, mud, extreme changes in elevation and water. Some of the activities include runs, military style obstacles, going through pipes, traversing cargo nets, climbing walls, jumping over fire, swimming in cold water, carrying heavy objects and traversing muddy areas. In summation, the Event is a hazardous activity that presents a serious physical and mental challenge to participants. I acknowledge that the Event is a serious test of my physical and mental limits that carries with it inherent risks of physical injury. Inherent risks are risks that cannot be eliminated completely (without changing the challenging nature of the Event) regardless of the care and precautions taken by Rugged Races LLC (hereafter used when referring to the corporate entity and protected parties). I understand that these hazards may be magnified due to the fact that the Event is often conducted under what may be extreme conditions and circumstances. I understand and acknowledge that the inherent risks include, but are not limited to: (1) contact or collision with persons or objects (including spectators or course personnel), contact with other participants, contact or collision with motor vehicles or machinery and contact with natural or man-made fixed objects or obstacles; (2) encounters with obstacles (e.g., natural and man-made water, road and surface hazards, close proximity and/or contact with thick smoke and open flames, barbed wire, pipes and slippery surfaces); (3) equipment related hazards (e.g., broken, defective or inadequate competition equipment, unexpected equipment failure, imperfect course conditions); (4) weather-related hazards (e.g., extreme heat, extreme cold, humidity, ice, rain, fog); (5) inadequate first aid and/or emergency measures; and (6) erratic or inappropriate co-participant behavior, erratic or inappropriate behavior by myself and errors in judgment by personnel working the Event. I further understand and acknowledge that any of these risks and others not specifically named may cause injuries that may be categorized as minor, serious or catastrophic. Minor injuries are common and include, but are not limited to, scrapes, bruises, sprains, nausea and cuts. Serious injuries are less common, but do sometimes occur. They include but are not limited to, property loss or damage, broken bones, torn ligaments, concussions, exposure, heat-related illness, mental stress or exhaustion, infection and concussions. Catastrophic injuries are rare; however, participants should be aware of the possibility that such an injury can occur at an Event. These injuries can include permanent disabilities, spinal injuries and paralysis, stroke, heart attack and death. I understand fully the inherent risks involved in the Event and assert that I am willingly and voluntarily participating in the Event. I have read the preceding paragraphs and acknowledge that (1) I understand the nature of the Event; (2) I understand the physical and mental demands that this activity will place upon me; and (3) I understand that I may be injured by participating in the Event. I hereby assert that I knowingly assume all of the inherent risks of the activity and take full responsibility for any and all damages, liabilities, losses or expenses that I incur as a result of participating in the Event. In consideration of being permitted to participate in the Event, I (on behalf of the Releasing Parties) hereby forever waive, release, covenant not to sue and discharge Rugged Races LLC and the other Released Parties from any and all claims resulting from the INHERENT RISKS of the Event or the ORDINARY NEGLIGENCE of Rugged Races LLC (or other Released Parties) that I may have arising out of my participation in the Event. This agreement applies to (1) personal injury (including death) from incidents or illnesses arising from the Event participation, including injury during course inspection, observation, practice runs, the Event and while on the premises (including, but not limited to stands, sidewalks, parking areas, restrooms, and dressing facilities); and (2) any and all claims resulting from damage to, loss of, or theft of property. I hereby agree to hold harmless, defend and indemnify Rugged Races LLC (and the other Released Parties) from any and all claims made by me (or any Releasing Party) arising from injury or loss due to my participation in the Event. This applies both to claims arising from the inherent risks of the Event or the ordinary negligence of Rugged Races LLC (or any Released Parties). I further agree to hold harmless, defend, and indemnify Rugged Races LLC (and the other Released Parties) against any and all claims of co-participants, rescuers and others arising from my conduct in the course of my participation in the Event. I agree that the appropriate state or federal trial court for any legal action arising from this Agreement will be the one located in the State and county in which this Event took place. I understand and agree that this Agreement is intended to be as broad and inclusive as is permitted by law and that if any provision shall be found to be unlawful, void or for any reason unenforceable, that provision shall be severed from this Agreement without affecting the validity and enforceability of any remaining provisions. In the Event of a legal issue, I agree to engage in good faith efforts to mediate any dispute that might arise. Any agreement reached will be formalized by a written contractual agreement at that time. Should the issue not be resolved by mediation, I agree that all disputes, controversies or claims arising out of my participation in the Event shall be submitted to binding arbitration in accordance with the applicable rules of the American Arbitration Association then in effect. The cost of such action shall be shared equally by the parties. I assert that I am in good health and in proper physical condition to safely participate in the Event. I certify that I have no known or knowable physical or mental conditions that would affect my ability to safely participate in the Event or that would result in my participation creating a risk of danger to myself or to others. I acknowledge that Rugged Races LLC recommends and encourages each client to get medical clearance from his/her personal physician prior to participation. I assert that I have not been advised or cautioned against participating by a medical practitioner. I understand that it is my responsibility to continuously monitor my own physical and mental condition during the Event and I agree to withdraw immediately and to notify appropriate personnel if at any point my continued participation would create a risk of danger to myself or to others. I attest that I am covered by medical insurance. In the Event of an injury to me that renders me unconscious or incapable of making a medical decision, I authorize appropriate Rugged Races LLC personnel and emergency medical personnel at the Event to make emergency medical decisions on my behalf. I authorize Rugged Races LLC to secure emergency medical care or transportation (i.e., EMS) when deemed necessary by Rugged Races LLC and agree to assume all costs of such care and transportation. I acknowledge that Rugged Races LLC has instituted rules for the protection of myself and my co-participants. I agree to familiarize myself with those rules and follow them throughout the Event. I also recognize the authority of Rugged Races LLC to halt my participation (and, if necessary, have me removed from the premises) if my participation, conduct or presence endangers myself or my co-participants. I have read this Photography Release, Assumption of Risk, Waiver of Liability, and Indemnification Agreement and fully understand its terms. I understand that I am giving up substantial rights, including my right to sue. I further acknowledge that I am signing this agreement freely and voluntarily and intend my signature to be a complete and unconditional release of all rights to photographs of myself or my minor children (if applicable) and all liability due to ORDINARY NEGLIGENCE of Rugged Races LLC (and other Released Parties) or the INHERENT RISKS of the activity, to the greatest extent allowed by law. Rugged Races LLC does not assume liability for damages as a result to the use of any service, product or any material found within this web site. This may include but is not limited to the use of the website system, any content or demonstrations accessed via this web site or any other site to which the web site may be linked to. We reserve the right to modify any material within this web site including but not limited to: product/ and service descriptions at any time without notice. The information posted is believed to be accurate and reliable at the time it was posted. We do not take responsibility for its use, nor for any infringements of rights and or patents of any third parties resulting from the use of the website. Links from third party websites from this site are provided solely as a convenience. Tickets purchased through ruggedmaniac.com on or after 6/29/2017 are eligiible to be refunded prior to the event by submitting a claim at TicketGuardian.net/claims.